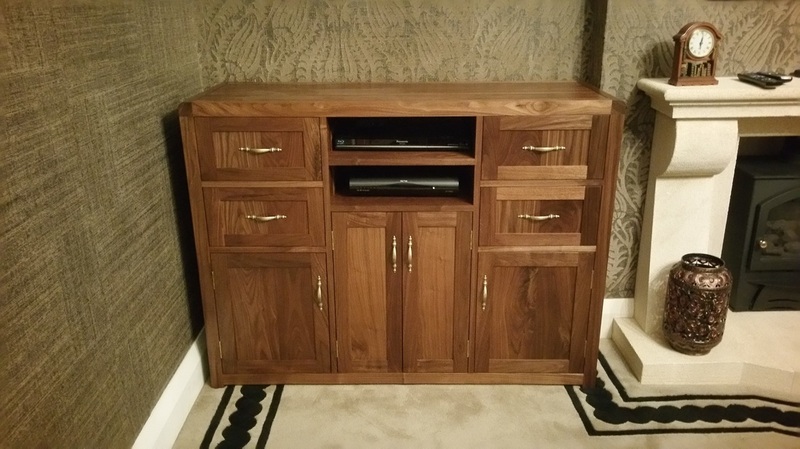 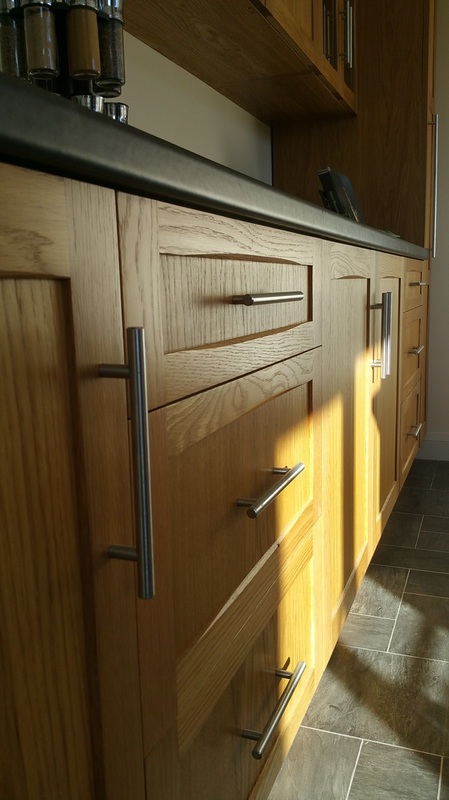 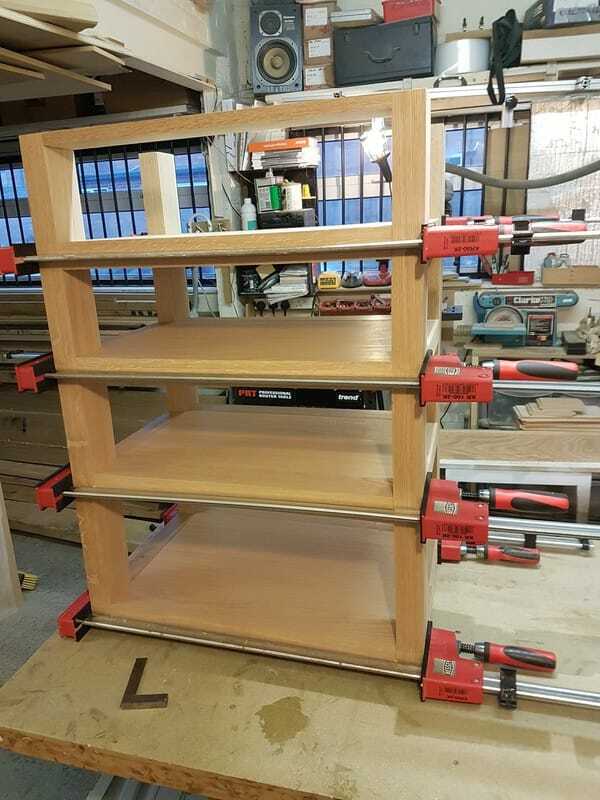 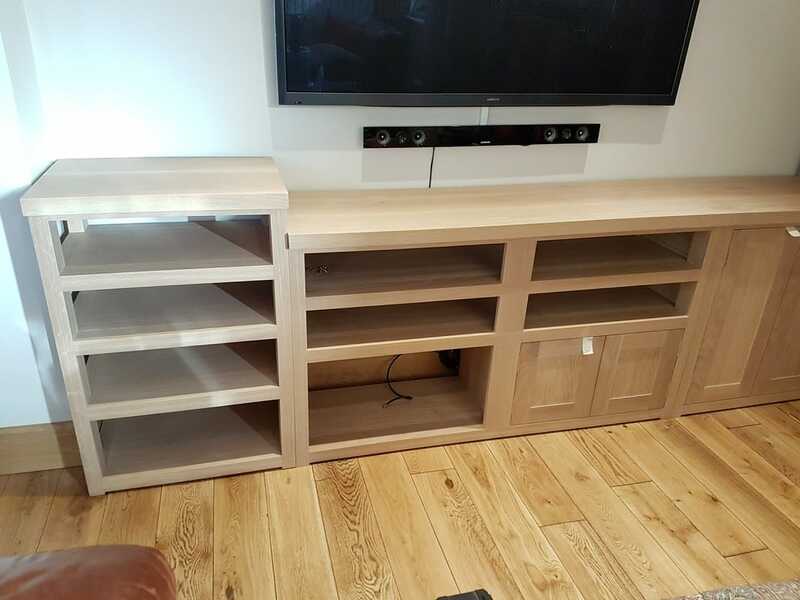 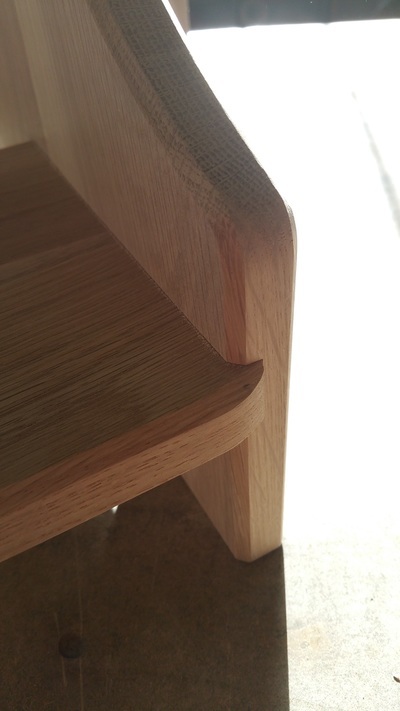 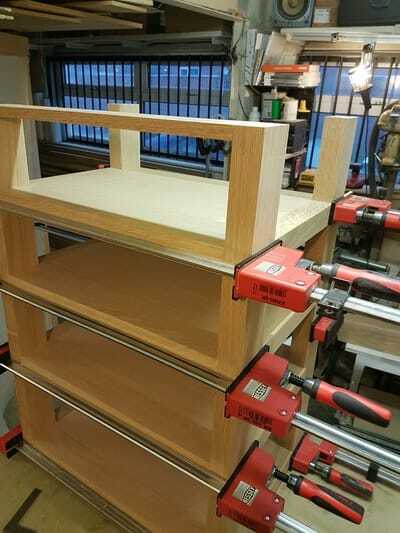 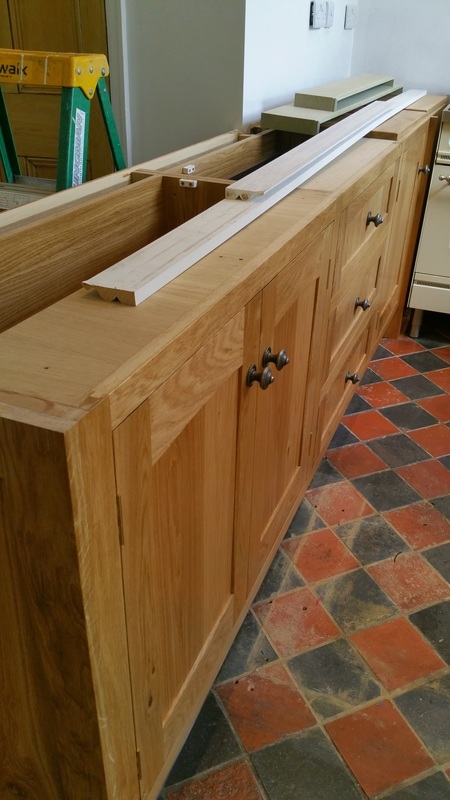 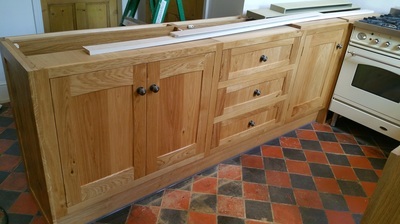 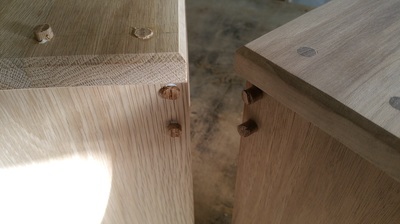 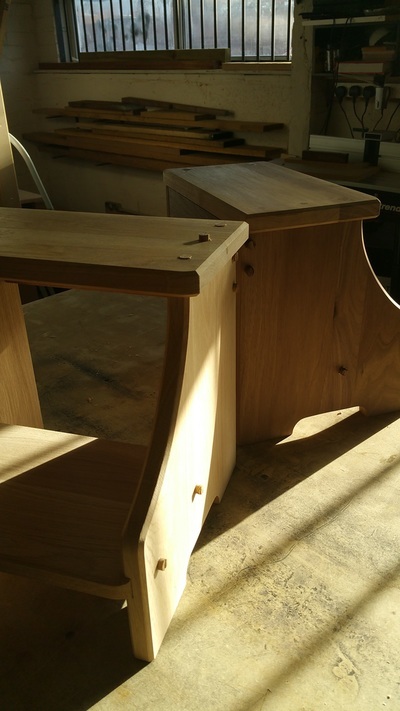 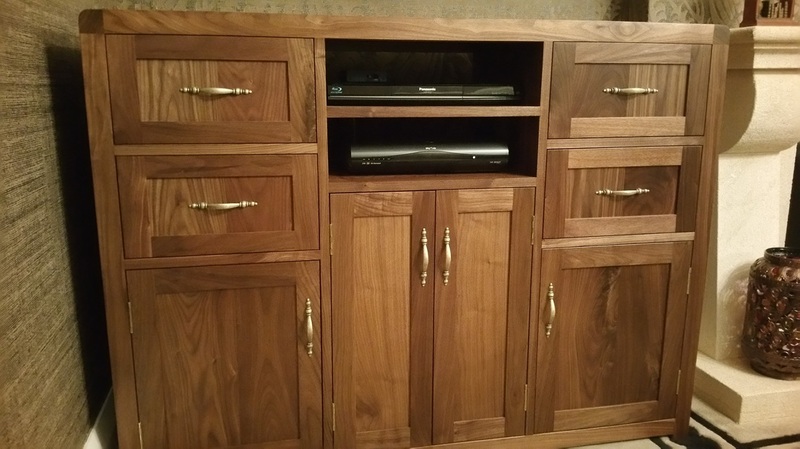 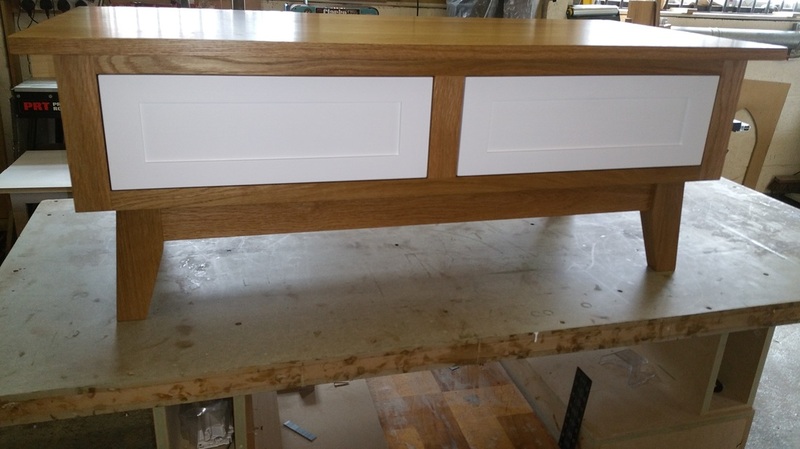 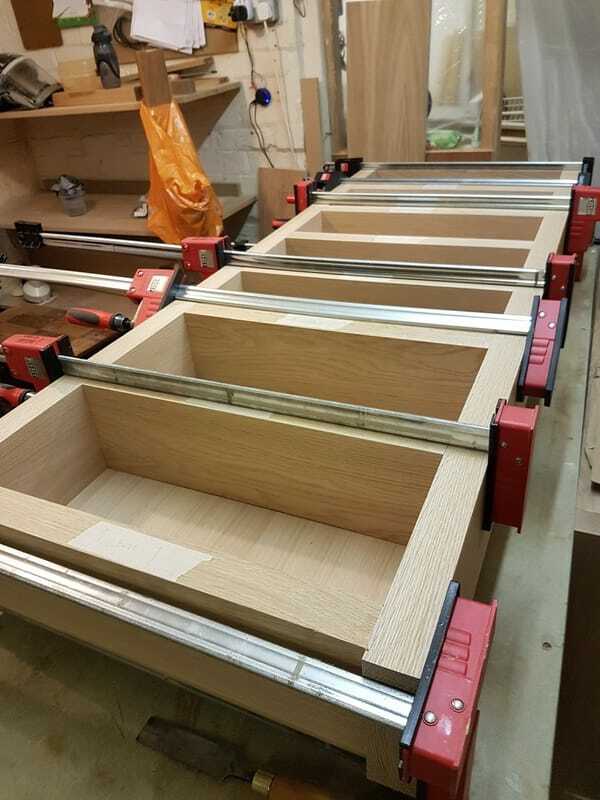 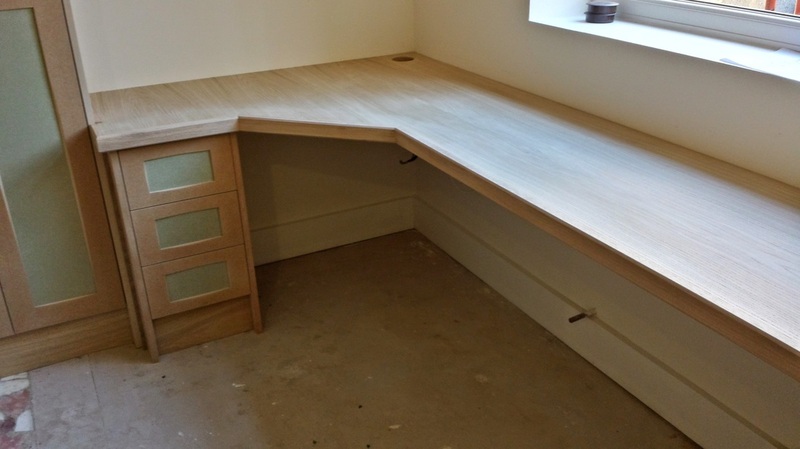 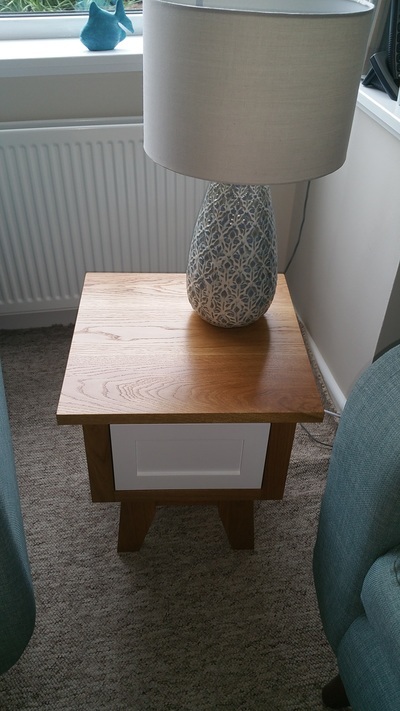 Thorne Woodworking - Cabinet making & bespoke fitted furniture. Fitted wardrobe & chest of drawers in oak. 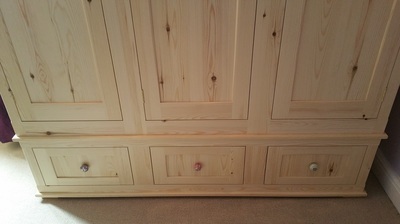 Coat rack with shelf, 4 hook. 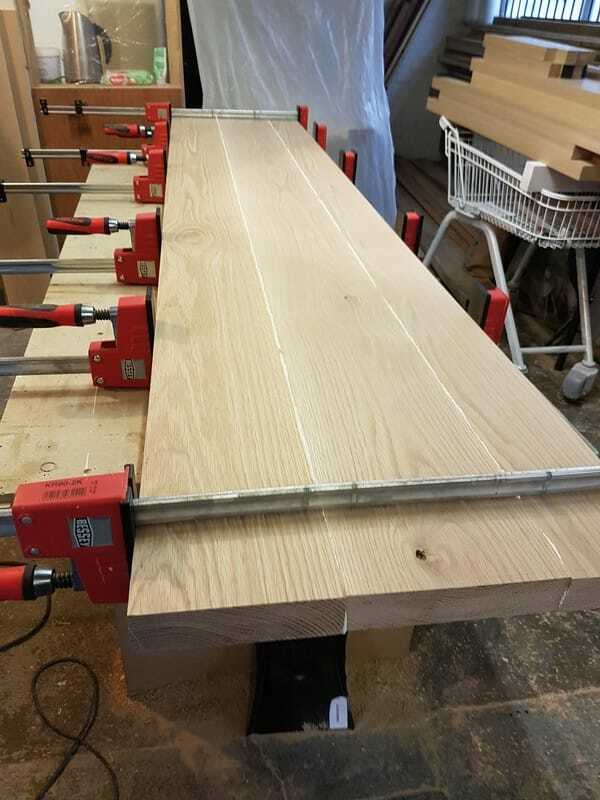 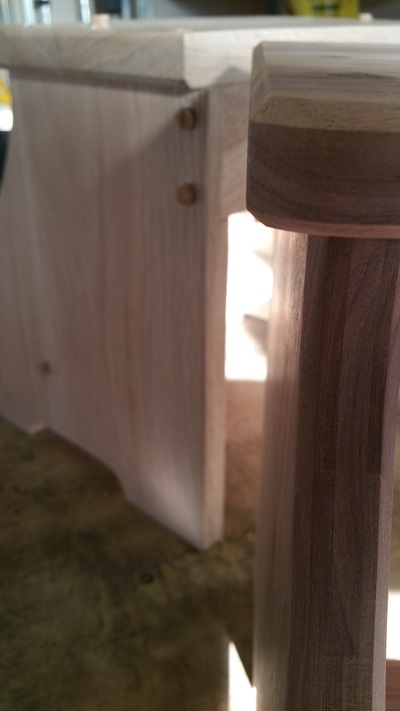 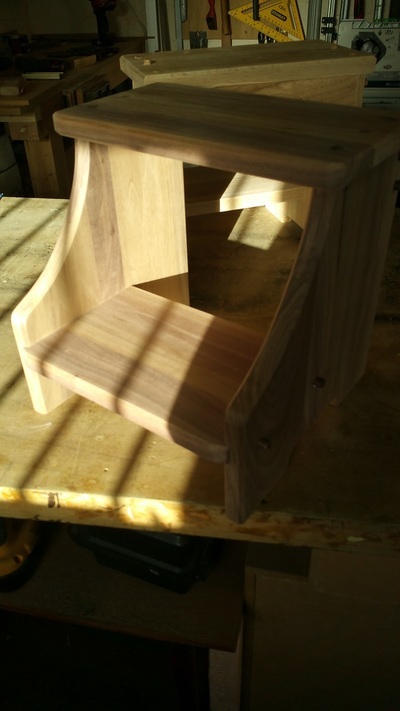 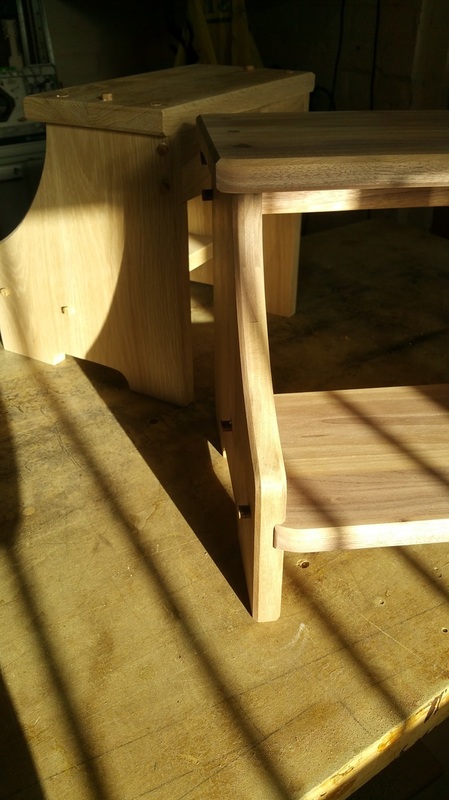 Coat rack with oak shelf, 4 hook. 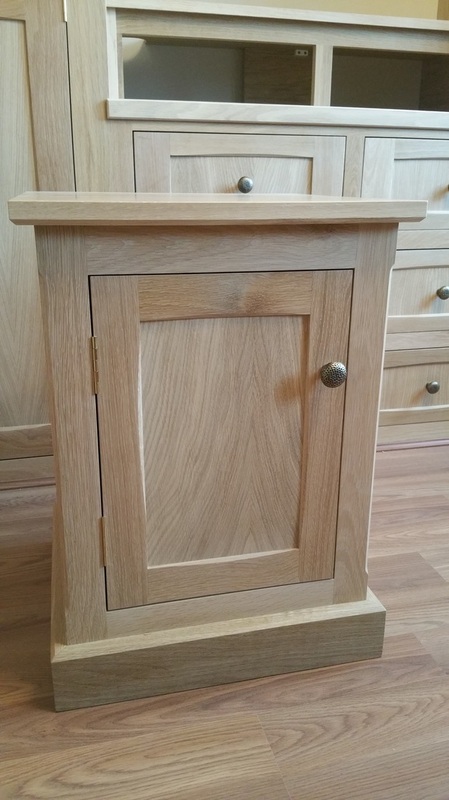 Bedside cabinet, 'Large' size, with double doors. 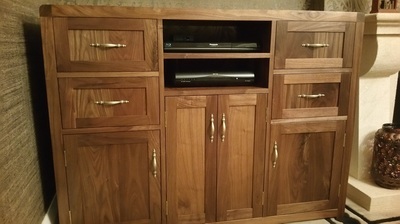 Welcome to the home of Thorne Woodworking. 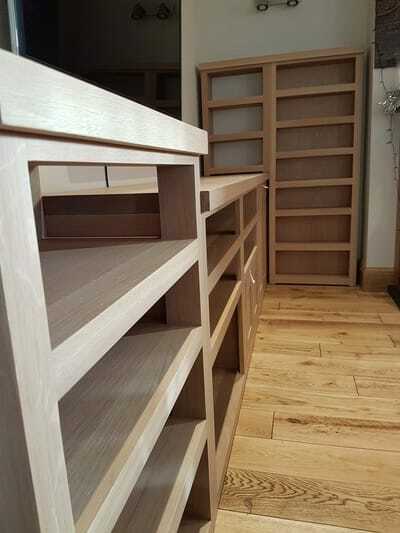 Specialising in cabinet making, bespoke fitted furniture, fitted bedrooms, wardrobes, fitted kitchens and other storage solutions. 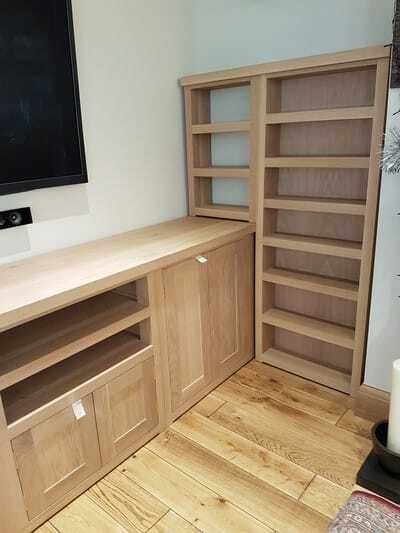 From large fitted wardrobes to small vanity units and everything in between. All made in house. Also, a 'NEW' range of my designs, made to order in the STORE now. A very chunky design, all the main timbers are finished at 45mm thick which makes these units VERY heavy. 45mm solid oak tops just add to the robust feel and design. 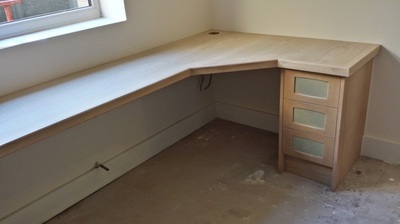 Finished in Osmo Polyx Raw oil to give a light contemporary look. 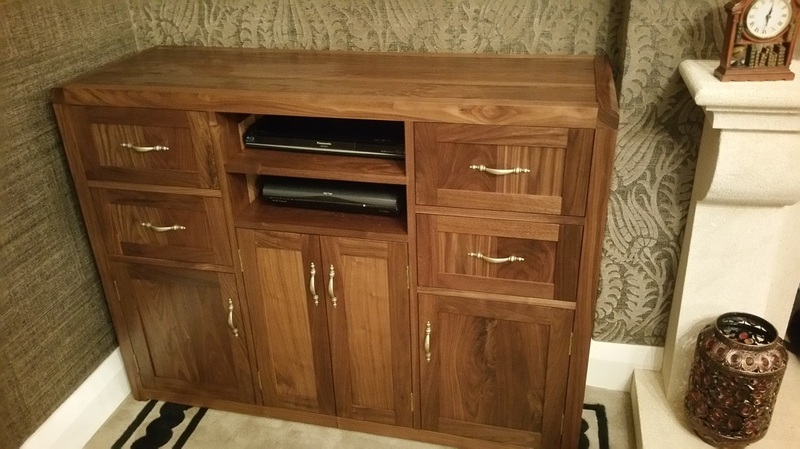 American Black Walnut media centre, all solid walnut panels finished in Osmo Polyx oil. 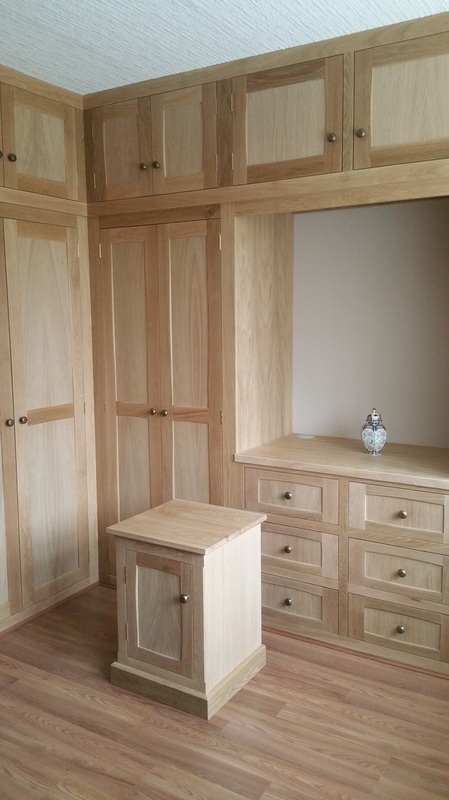 American White Oak, L shaped fitted wardrobes with and angled end and including a bedside cabinet to match. 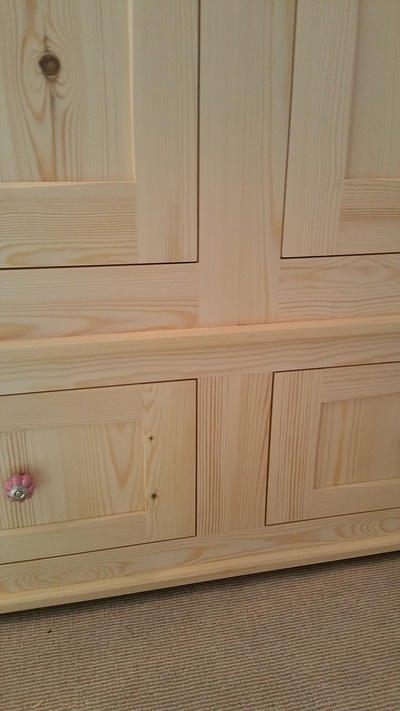 Click here to go to the appropriate gallery. 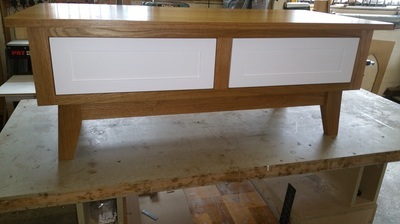 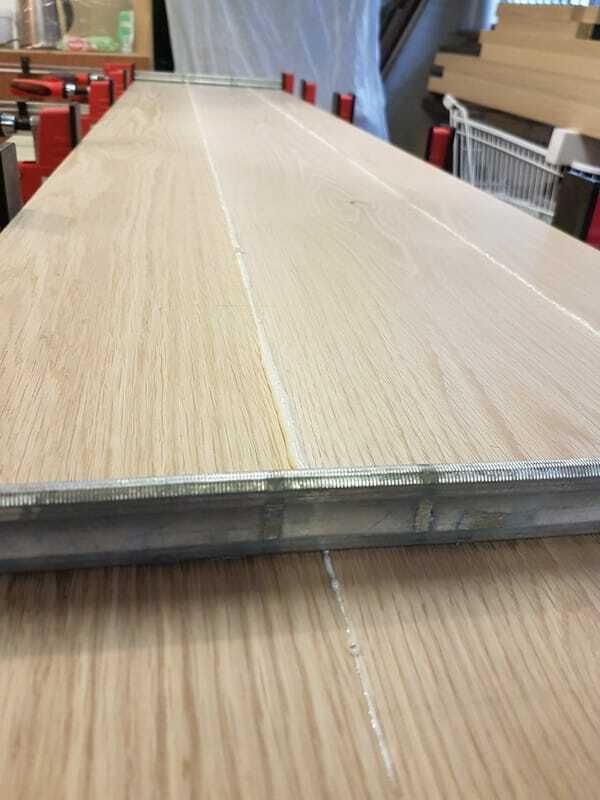 American White Oak/painted mdf. 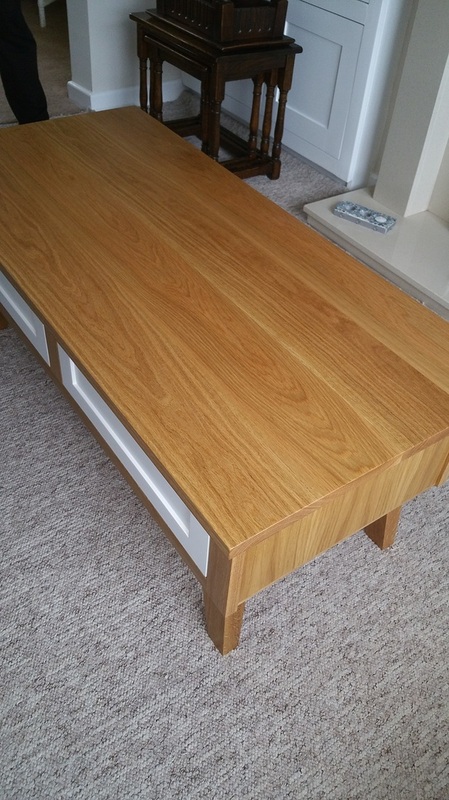 1 Coffee table & 2 side tables. 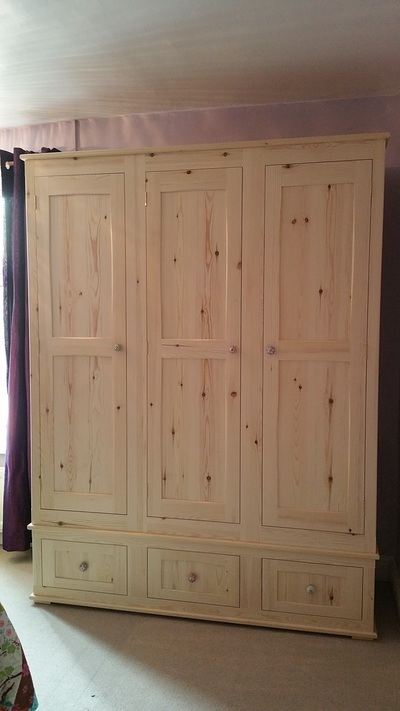 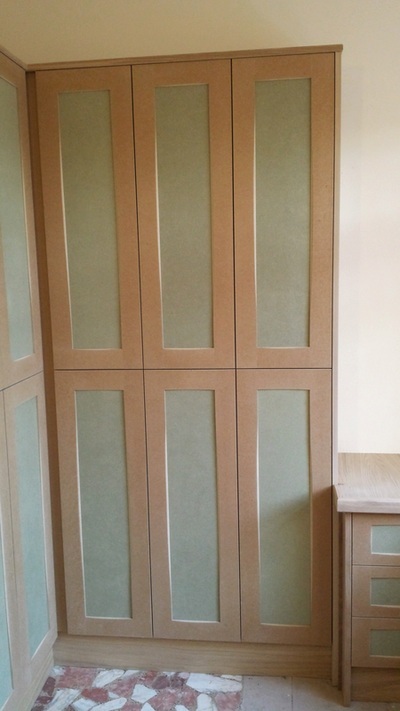 Pine Wardrobes, with solid pine panels. 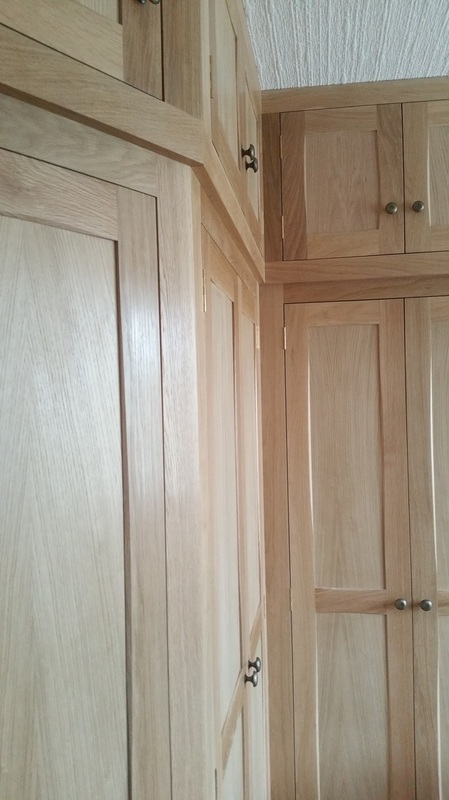 American white oak Kitchen, finished in Osmo Polyx oil. Oak/mdf/painted home office with large desk and extensive file storage (Unpainted). 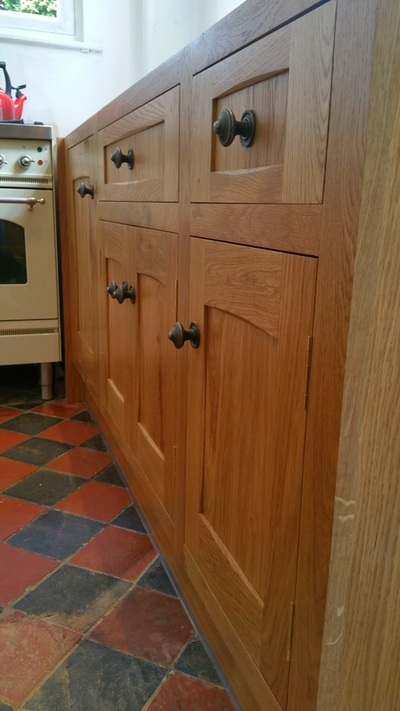 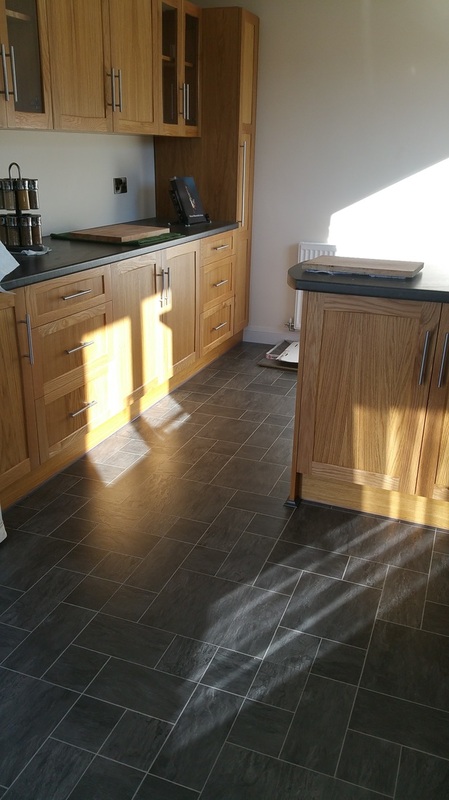 European character oak Kitchen, finished in Osmo Hardwax Oil. Specialising in cabinet making, bespoke fitted furniture, fitted bedrooms, wardrobes, fitted kitchens and other storage solutions. 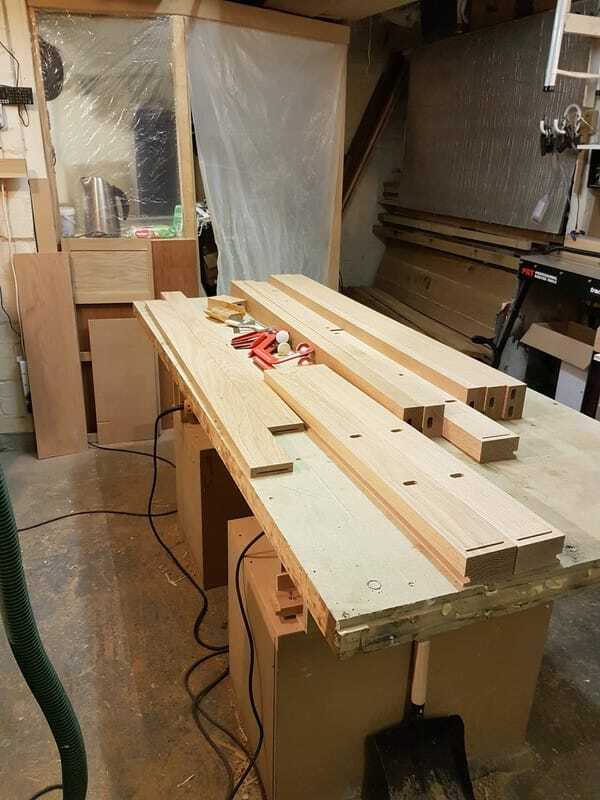 All made in house.